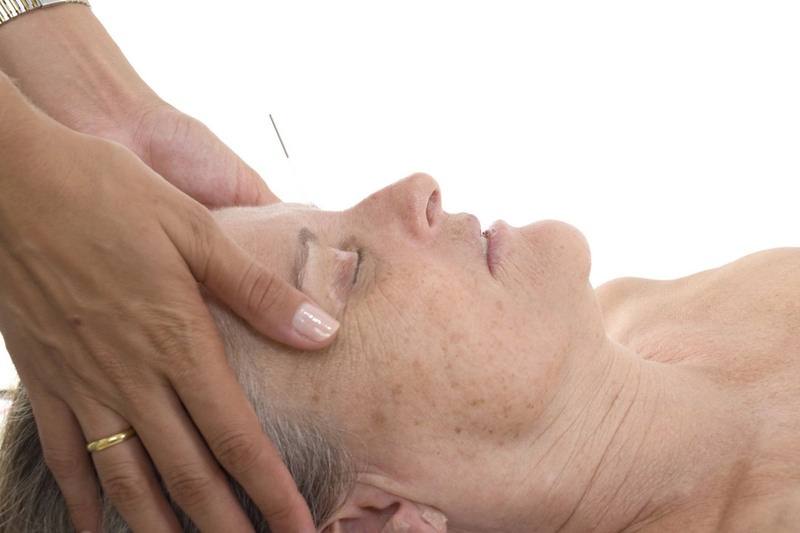 Did you know Acupuncture works well with Geriatric populations? Acupuncture can help seniors recover from acute illness as well as help to manage more chronic conditions. In 2008, an Israeli Geriatric Rehabilitation Department at the Tel Aviv Sourasky Medical Center studied 27 patients undergoing rehabilitation for acute illnesses in the form of "biweekly acupuncture treatment in conjunction with medical and physical therapy." The study sought to measure patients perceptions of "pain control, restoration of bowel function, sleep, appetite and general well being, alongside physical activity." The researchers asked the patients to rate each measure on a scale of 1 to 10 before and after the course of treatment. While authors cautioned more research thru "randomized controlled trials are needed to further assess the role of acupuncture as part of treatment management for restoring normal physical activity in geriatric patients," they were able to record that "significant post-treatment improvement was seen in pain, appetite, bowel function, and general well being, scores in patients' treatment when compared with pretreatment baseline scores." Sleep quality improved as well, but not at as significant levels as the other measures. They conclude that "acupuncture may be beneficial as an adjunctive treatment in geriatric post-acute illness rehabilitation." While the authors of the study did not list the specific illnesses of each patient. The restoration of normal activity due to decline associated with aging would probably correspond to the Tradition Chinese Medicine (TCM) concept of Kidney Deficiency. In TCM the Kidney's metaphorically control what we think of as aging and development. According to Giovanni Maciocia in his blog post Geriatrics and Chinese Medicine "...geriatrics in Chinese medicine has been dominated by Kidney deficiency for centuries. As Kidney-Jing (essence) declines as we age, the clinical approach to the treatment of the elderly has been based largely on tonifying the Kidneys." However, Maciocia (incidentally the author of many acupuncture textbooks like this one) continues that in present day "90%" of elderly are not in fact dying of "Kidney deficiency" but of patterns which reflect "Fullness" or excess of pathogenic substances or forces within the body such as "Phlegm, Blood stasis and Internal Wind." Which makes sense when you consider people's most basic nutritional needs usually get met today. So people are living longer, but in our do more, consume more, fast-paced-around-the-clock society, people are getting more exposure to toxins, chronic stress, and lack of restorative rest than ever. These excesses which Maciocia highlights can build up and manifest as serious conditions such as "cancer, heart disease, and stroke." Maciocia also list how combinations of these excesses contribute to symptoms and disease such as Hypertension, High Cholesterol, Cancer, Trigeminal Neuralgia etc. And symptoms typically attributed to Kidney deficiency in TCM such as dry skin, hair loss, dizziness, poor memory, cataracts may be due to excesses conditions instead. He recommends treatment plans which "invigorate" or move "blood and eliminate stasis, resolve Phlegm and extinguish (internal) Wind." Fortunately, acupuncture can treat both excess and deficiency conditions and as well as "mixed" conditions which involve a combination of excesses and deficiencies. As my Qigong mentor taught me, Acupuncture points have their own self-regulating abilities, and yes a practitioner can choose to override that regulating ability with specific techniques, but an alternative approach known as "even technique" is to get out of the way and let the points add to and take away energy to the body as needed. So even in complex cases, acupuncture can play a role in facilitating better health.